If you are in need of expert Nilfisk repairs and maintenance services, please contact us on 01782 749451 or email sales@clfloorcare.co.uk. We understand the essence of keeping your washing pressure for your machine running in optimal condition and have it working as it is required at all time. This can only be achieved by having it inspected and regularly maintained. You can trust us to repair that industrial floor cleaning machine that has refused to start or run for long. Our technicians are highly trained and understand their way around the machine unlike when you decide to do the inspection and repair by yourself. What are some of the services to expect and what are the benefits you get by hiring CL Floorcare for your industrial cleaning equipment products. 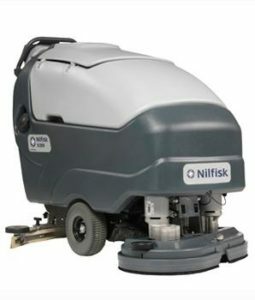 We have been in the industry for an extended period for which has helped us gain extensive knowledge regarding Nilfisk pressure washers and develop the necessary skills for repairing them. You can count on us for any Nilfisk equipment troubleshooting, and repairs rest assured that we will have it as good as brand new. We have all our repair and replacement part on hand which ensures that there are no delays and repairs are done on a timely basis. This enhances conveniences and makes sure that you can have the machine back for use within a short time. We care about you, and we understand that you may not always have time to check your machine for Nilfisk pressure washer problems and take them to a repair shop. We are here to make things easy for you with our offsite services where we come to your place and have the services done at the comfort of your home. Our technicians are well trained, vetted and have fulfilled all the requirements by the regulator to offer these services. They understand the safety precautions that they must take ensure that there are no accidents and that after the repair; the Nilfisk pressure cleaner is safe for use. You no longer have to worry about any accidents that could happen during the repair process as we have comprehensive coverage to pool the risks. We are also certified to offer the services, which is a clear indication that we fulfill the minimum regulatory requirements. Do not be left behind. Contact us today for all Nilfisk repairs, save time, money and enjoy convenience and more benefits that come with entrusting us with the job.